Melania follows Obama's Twitter feed. 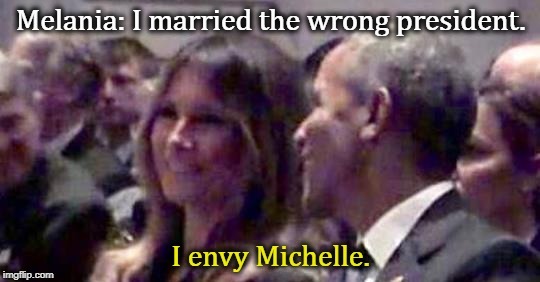 Melania: I married the wrong president. I envy Michelle.